To make the paratha dough, Take wheat flour in mixing bowl. Add carom seeds and salt to taste. Knead the dough well. Consistency of dough should be soft like regular chapati/roti dough. Apply few drops of oil and cover it. Let the dough rest for 30-40 minutes. Mix all ingredients mentioned under 'Ingredients for stuffing' and mix well. Awesome filling for the parathas..
i love parathas & absolutely love the way your parathas looks.. round & yum! Very delicious filling perfectly made parathas !! 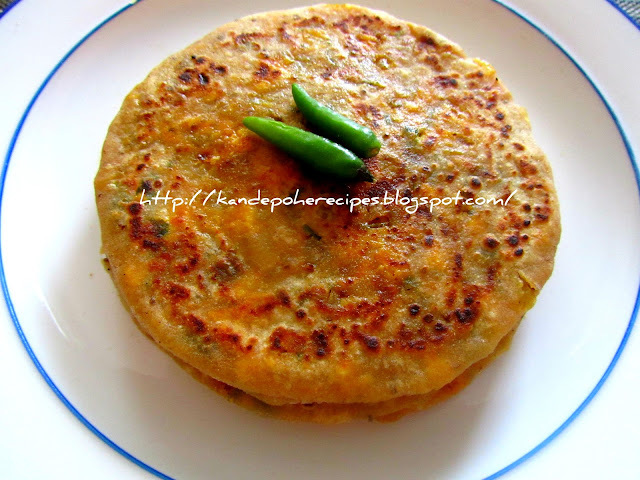 nice and yummy paranthas!..nice clicks. when can i visit you to have this yummy paranthas!! !